Your home serves many purposes. It is your castle, calling card, gathering spot and place to hang your hat. It provides space to lounge, entertain and dwell and must be designed in a way that fosters a welcoming atmosphere while retaining the utmost functionality for all its inhabitants. Sometimes homes are not built to owners’ specifications and require residential remodeling services to make things right. If your home is in need of a facelift, or a complete remodel, trust the professionals at TriStar Repair & Construction for any residential remodeling project in the Dallas–Fort Worth metroplex. The Dallas-Fort Worth area is home to thousands of people who all have varying needs, home layouts and ideas about what a residential remodel should entail. Given our team’s years of experience and expertise, TriStar is well equipped and ready to help you add value to your home with a residential remodel regardless of your project’s specifications. We work with our customers to ensure we have a clear idea about what they want to achieve with their residential remodel, and we deliver our services with the highest degree of professionalism, care and attention to detail. TriStar’s team will do everything in its power to ensure your residential remodeling project is carried out to perfection because we are not satisfied until you are. What is the overall goal for your residential remodel? What are your budgetary constraints? 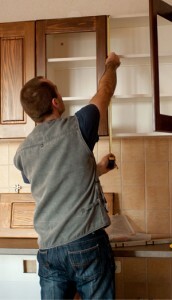 How much time can you spare for the residential remodeling process? What remodeling or construction company should you choose? TriStar Repair & Construction is ready and able to assist you with answering any of these questions because we have provided professional residential re modeling services to Denton County and the surrounding areas for nearly a decade. Our team of seasoned remodeling professionals specializes in offering only the finest residential remodeling services and strives to achieve complete customer satisfaction. When you partner with TriStar Repair & Construction for any residential remodeling project, you are choosing to do business with one of the most trusted home remodeling and construction companies in the area. We specialize in building luxury and value, both aesthetic and monetary, into each residential remodeling project we take on. When it comes to your home remodeling needs, trust the professionals at TriStar Repair & Construction to get the job done correctly and efficiently. To learn more about our residential remodeling services, browse through our site, or feel free to give us a call at (940) 381-2222 or send us a message.